Featured Piper in Celtic Life Magazine February 2018! 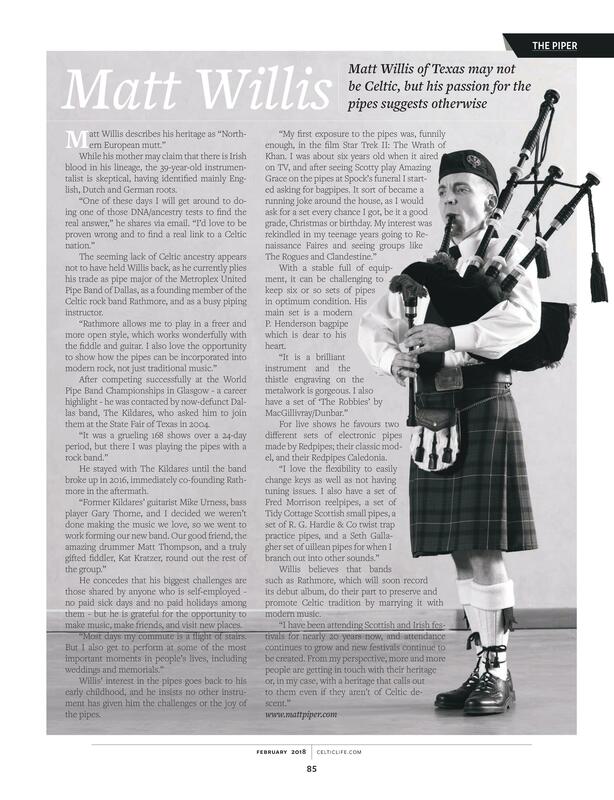 Matt is truly grateful to be the featured piper in the February 2018 edition of Celtic Life Magazine. Here is the full article!